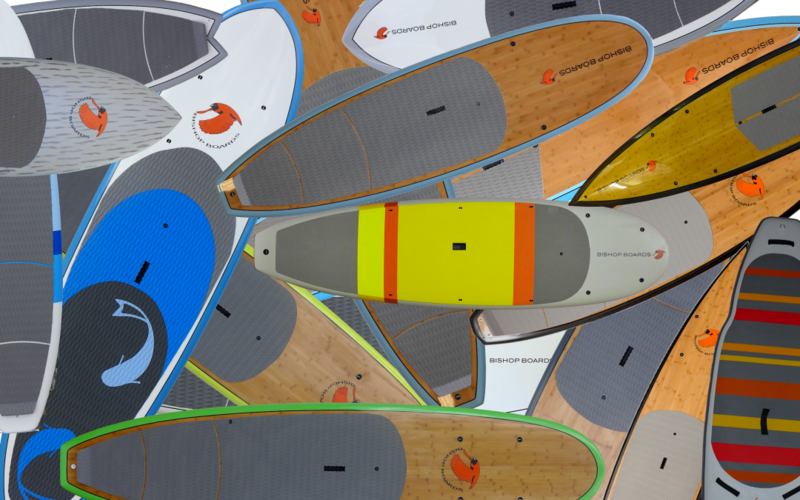 Selecting a paddleboard and discovering how you would like to use it. I would like to invite everyone to give some feedback this month. What do you want to hear about? After reading the article, please scroll down to the bottom of the screen and fill out the comment box and hit submit! Many people are very interested in trying out Paddleboarding, and are either reluctant to start or intimidated by the search for a board. Once you start. It is easy to become quickly overwhelmed. Let’s see if we can help you navigate this process and make it a little more manageable. When someone asks me which SUP is right for them. I start by asking 3 questions. What is your experience? Have you paddleboarded before, watched a lot of videos!, or never even seen one? Where do you envision yourself paddling (rivers, lakes, calm water, coastal, surf, camping, whitewater, etc.)? And the last one is, what is the paddlers size (height/weight) and fitness level. Let’s break those down a bit more. Your prior experience has a lot to do with any recommendation that I may have. There is a vast difference between someone who has tried paddleboarding and had a negative experience, someone who has never tried it and someone who has SUP’ed quite a few times and likes it a lot. The venue or location and conditions that you would like to paddle in, greatly effects the size and type of board that will best suit any one individual. Basically, what is the water going to look like where you want to paddle or have access to? There is a big difference between paddling on a glass smooth lake and in other areas with wind and waves. Potential SUPers with experience in other sports may have an advantage. Bicycling, kayaking, canoeing, and many other sports, develop specific skills that are helpful, like balance, stamina, and kinesthetic awareness (co-ordination, etc.). You may find yourself with more than one board, but lets find a good baseline to start with. We need to be as grounded as possible and find something that is going to be a baseline for enjoyment for years to come. Even if someone progresses quickly, many keep their first board for others to use (friends, grandchildren, kids, co-workers, etc.). Once we zero in on the places you will paddle, we can tweak things a bit by knowing if you will bring a child/pet on board, go fishing or head out for some exercise. Now we can start to demystify the choices and find a board. For many people a wider and thicker board is a good start. If designed well, it will be more predictable and provide a stable platform for learning. We are not looking for a lot of thickness in the nose or tail of the board. Width and thickness near the middle of the board is beneficial. Not so much, in the nose and tail. The benefits of that extra volume diminish as we get towards the extreme ends of the board. This brings us to volume (usually in liters) and how confusing it can be. Just remember it is a very rough variable that you can use to compare boards. The design and shape are more accurate indicators. A comfortable traction pad that is easy to take care of is a bonus. Not all traction pads are made the same. One that is heat formed resists stains better and can feel softer. They are also lighter. And while we are talking about weight, a board no more than 33 lbs is good, less is better. Lots of good intentions and motivations have been squashed with a cumbersome and heavy board. Don’t forget to check the carry handle, how it feels and where it is placed. After a fun jaunt on the water, the last thing you’ll want is an uncomfortable carry back to your car or house. Fatigued and wet hands behave differently. If you do a little research, you may find that you need to spend a little more money, but it will be better in the long run. Once you spend that little bit of extra cash, you will have a lighter board to use over and over again. This applies to paddles also, by the way. Trust me, a mediocre paddle will slowly sap the fun out of any trip on the water over 15 minutes long. This is not to say that you can’t have fun with anything on the water. If their is a budget, stick to it and get out there! A common question that I am asked is “do I need a displacement board or a planing board?”. Or, someone may say, is a pointy nose board better than a rounded nose board? The answer is…..maybe. First up, the word displacement. Almost all of the time we are using paddleboards, they are displacing water. The only time they plane is when an external energy force (waves, wind, etc.) helps us out. We should be interested to try out some boards and see how they move through the water. If we are on the right size board for our weight (us + gear, dogs, kids, etc.) both a displacement board or a planing board can work well. For multi use (flatwater and surf), short to medium distance flatwater paddles, and general recreational use, a planing board can work extremely well. Especially if the paddler is lighter. However, there are some things to look for that make a huge difference. Mainly, thinner rails near the nose of the board and a design that has a well thought out concave under the nose. This allows water to move linearly with the board and not slow you down or cause excessive slapping on the water surface. A drawn in, pointy or displacement nose, if designed well, will slice through the water with less resistance and certainly be beneficial for longer trips, heading to your favorite fishing hole, getting some exercise, training, or multi day trips. The majority of the boards out there that are called displacement boards, or referred to as such, are a combination of a displacement and planing hull. I am a bit biased, but I would suggest looking for one of the very few that are closer to a true displacement hull. They will move over the water smoother, quieter, with less effort and have glide. In the near future, we will see a shift in the Paddleboards designed for touring and Rec to this shape/design. If you need a bit more convincing…..look at the bottom of a very good touring kayak, touring canoe and touring SUP and compare them…..does one of these things not look like the others? A good paddleboard shop will be of great help to you when looking for your first, second, 23rd or last board. They will be able to explain the above differences to you, get you on the water to try some boards and take the time to find what helps you make the most of your time on the water. We are here also to help you find that shop or just answer questions. Coming soon………Classifications (there are 6) of paddleboard construction and how they effect price, durability, weight and performance.